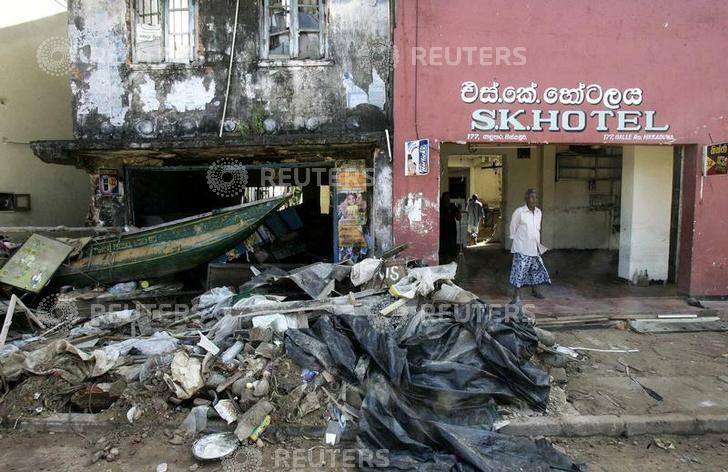 Arke Sugotapale, 79, stands at the entrance of his devastated hotel in the city of Seenigama, south of Sri Lanka December 31, 2004. Sugotapale and his family escaped from the wave caused by a tsunami by climbing on the third floor of the building. Asia's tsunami death toll soared above 125,000 on Friday as millions struggled to find food, shelter and clean water, while the world began what may prove to be the biggest relief effort in history.